I tried the NOCS brand before with the NS700 cans and although they looked suspiciously like the Platten range from Urbanears I was suitably impressed by the sound quality and thought them to be a cut above what I was expecting. I should really have learned my lesson from there because when Digital Walker said why don’t you try the NS800 Monitor BA IEM’s I went through the exact same underwhlemed fatal pause before I shrugged my psychological shoulders and said “sure”. It was a slow week at the time and they seemed shiny enough to appeal to my inner magpie. Further to that I was getting these quite late and initial digging around revealed a ton of reviews that compared the sound to something akin to a burning bright light in yur eye equivalent in your ear as in wow bright and sibilant. I have had experience of that brightness in single armature before with the ultra-expensive FI-BA-SS from Final Audio and the cost of getting that didn’t justify it as the upper end was just too intense for me. On the other side of the budget scale the single BA of the Westone UM1 was altogether easier to digest but far too limiting outside of some great mids to scale easily with anything more bombastic or complex. 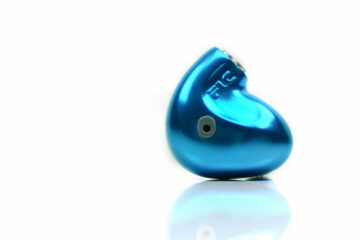 In reality I had long since come to the conclusion that most single BA IEM’s was just too limiting for me to enjoy. 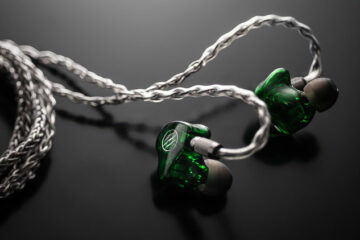 Well I am glad I got the NS800 now as the small print says the V2 and yes indeed NOCS went back and revised the NS800 IEM and what I am reviewing is that V2 and for a single balanced armture setup at this price I think it is one of the best I have heard to date.